NSK cage & Needle roller assemblies consist of a complement of needle rollers held in place by a cage. Their unitized design makes for easy handling and installation. With no inner or outer ring, the low cross-section provides maximum load-carrying capability within the smallest envelope. Properly lubricated, they can operate at high speeds thanks to the unique cage, which guides the rollers precisely. The controlled contour rollers in cage & Needle roller assemblies have an optimum profile which reduces end stresses, allows operation under moderate misalignment and prolongs bearing life. 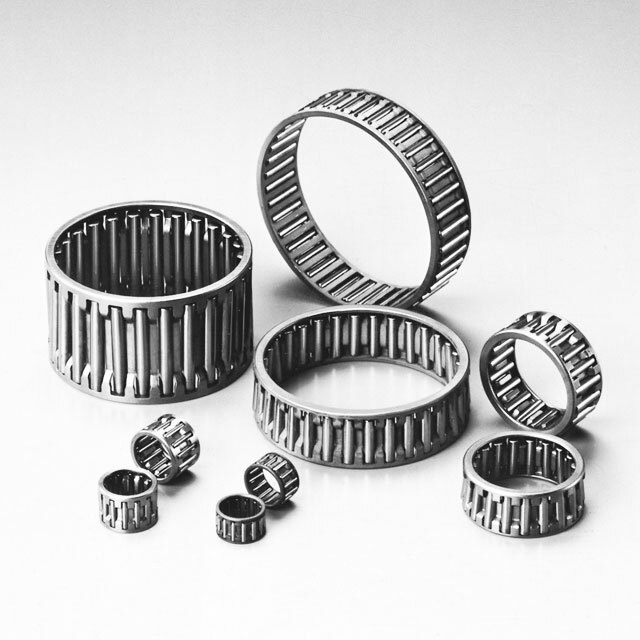 NSK drawn cup needle roller bearings (with a cage and full complement of rollers) have a unique outer ring structure. 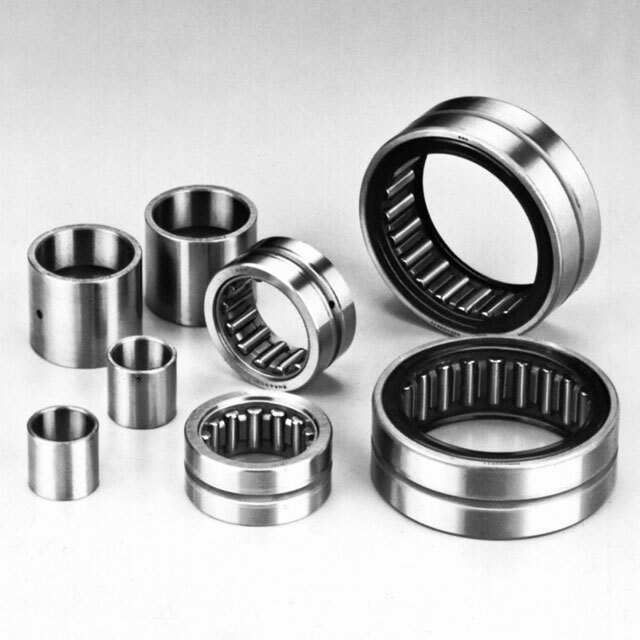 They have the following features: the thinnest outer ring among rolling bearings, high load capacity, high maximum permissive load owing to the use of carefully selected special alloy steel plates, a surface-hardened cage with high resistance to wear, high limiting speed, and ease of mounting. 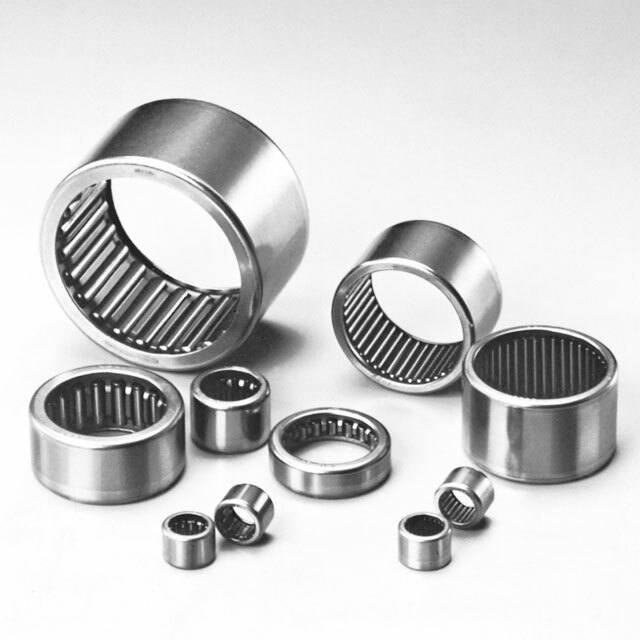 Solid needle roller bearings are high-accuracy bearings with maximum load capacity within a limited space for various operating conditions. 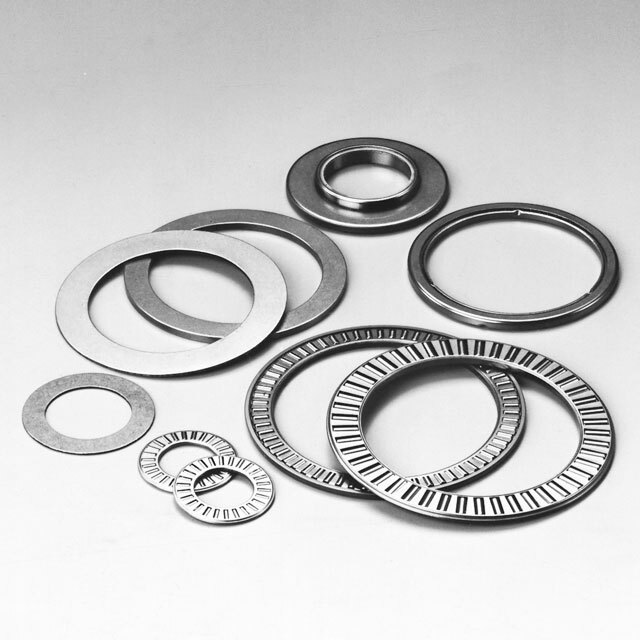 Made of carefully selected vacuum-degassed bearing steel or carburizing steel, the raceway rings are finished with accurate grinding after heat treatment. The outer rings have strong integrated ribs and contain high-accuracy rollers that have the proper crowning finish. Lightweight and extremely strong, the cage guides the rollers accurately and smoothly. Thrust needle bearings type comes in metric and inch designs. The cage & Needle roller assembly for the thrust needle bearing is a cage that has two pieces joined together, to which surface hardening is applied after the precision press processing of a steel plate, and in which high accuracy rollers are incorporated, in order to achieve rigidity and wear resistance. Many rollers are retained securely in the cage, taking large axial load, and yet rotating smoothly. Mounting space is so small that it is easy to replace a conventional sliding thrust washer. Different thicknesses of various types of thrust raceway washers are available in this cage & Needle roller assembly, which allows selection of the appropriate thickness suited for bearing peripheral mounting conditions. 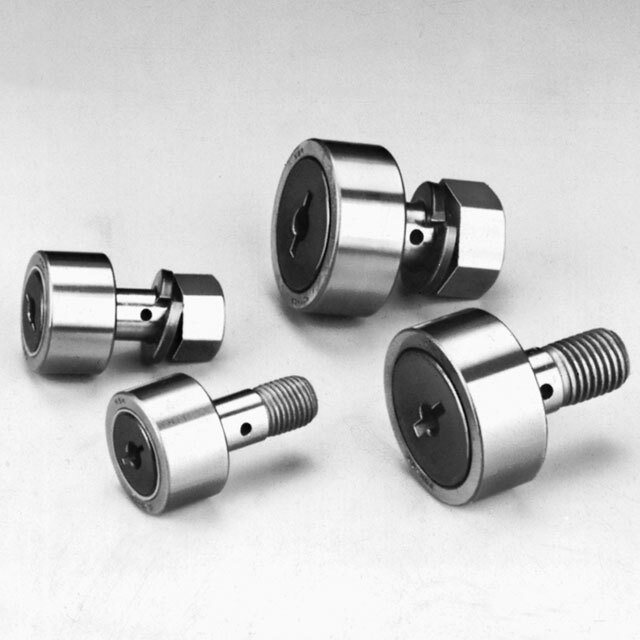 Cam followers, which are equipped with a thick-wall outer ring, crowned rollers, and a stud with a hardened raceway surface, are especially tough and can sustain shock loads. The roller follower with a thick-wall outer ring and crowned roller has a large load capacity which enables it to carry shock loads. Handling is easy since it it non-separating and applications such as track rollers, cams and rocker arms are wide.